lol i ve found it in about 20 secs, because its the same for example in skyrim and in lots of other games to. but there arent only settings, but rather screenshots and savegames, too. maybe that helps if y want to copy a games savefile for a friend in the future. in most cases you ll find it there. NoScript MASTER RACE. Your witchcraft won't work here. I know that the burst fired is glitched and I know that it got a slight buff, but is it even worth using, compared to guns like the KH2002, m16a3, AEK, f2000 etc. The only role I see for it, is a a ninja weapon with a grip and a silencer. What attachments would you use, if its worth using? Reflex, FG, Laser Sight. It's an absolute monster up close simply because it beats the AEK, and from the hip, nonetheless. Quite monstrous in TDM and CQDOM. Well you actually found out the whole magic behind the FAMAS. It kills extremly fast. But on the other end it is neither good from the hip, nor precise, nor ammo conserving. So what you need is the jump on people. You need to be able to fire first without them knowing where you are so you can reload in safety. The suppresor is the perfect attachment for this gun. The damage-DO penalty doesnt hurt it at all since the accuracy for range is to low. The higher hip-spread doesnÂ´t matter since you shouldnÂ´t be hipfiring with this gun (huge mistake most players do: high rpm =/= hipfire 24/7). But you get slightly better accuracy and lower recoil which is nice. The main bonus we want from the sup is the ability to stay of the minimap though. This allows you to surprise your enemy and make your reloads safer. What you got know is a gun, which kills in a splitsecond and doesnÂ´t show up on the minimap. A deadly combo. I donÂ´t recommend it for TDM though. 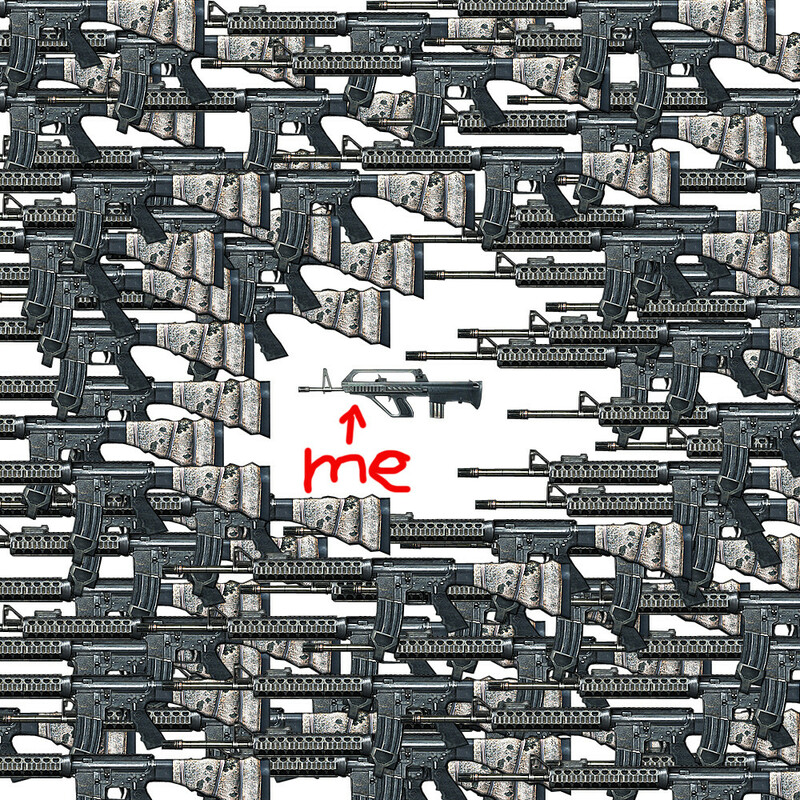 So yeah the magic about the FAMAS is the sup. It just makes it 300% more deadly. Use it on Aftermath/Seine Crossing/etc in Conquest or Rush for the maximum effect. Really, don't underestimate it when hitting from the front with a Laser. No, the hipfire isn't as tight as the F2000's. But at the same time, since you fully suppress a target in half a second or so because of its monstrous rate of fire, you can afford to miss a few shots since the other guy is going to miss a lot more. Though I'd agree on FG+Supp for Rush.